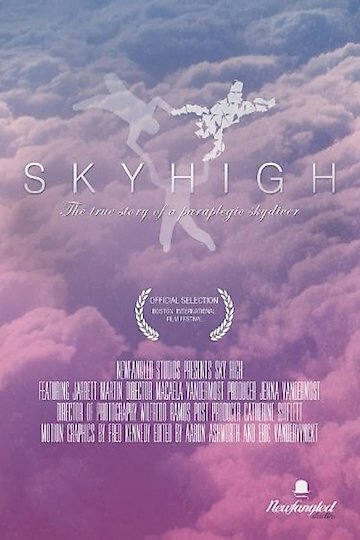 Sky High is a documentary about Jarrett Martin. Jarrett Martin is a 21-year-old thrill-seeker, who is paralyzed from the chest down after a horrendous accident. Jarrett Martin continues to BASE jump and sky dive even after his accident. Sky High is currently available to watch free on Tubi TV and stream, download, buy on demand at Amazon Prime, Amazon online.